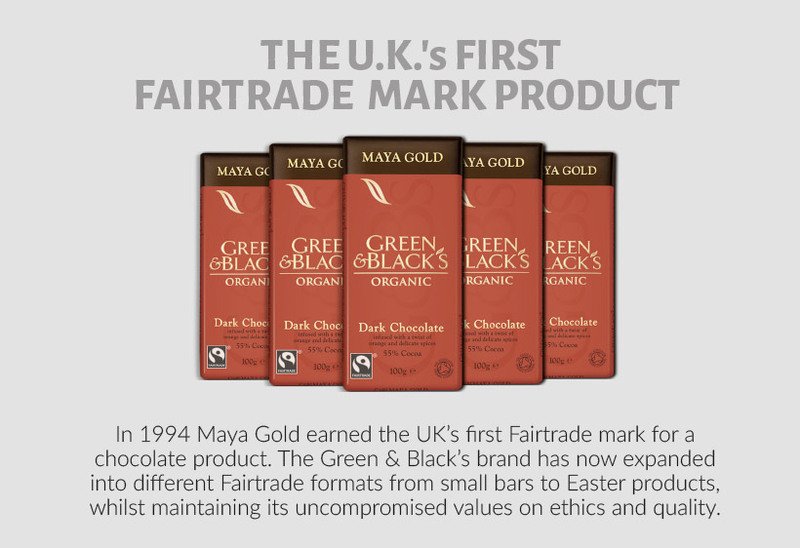 The UK’s first Fairtrade labelled product was Green & Black’s Maya Gold Dark Chocolate introduced in 1994. Chocolate had become synonymous with Fairtrade with many brands becoming Fairtrade Certified which means they must comply with a number of requirements, related to social, economic and environmental developments. In addition, labour conditions in these organizations must follow certain standards. There is still however a long way to go in encouraging customers to buy Fairtrade with only a 0.5% share of the cocoa market, so make sure the next bar of chocolate you buy has the Fairtrade mark! That’s a lot of cups of tea! 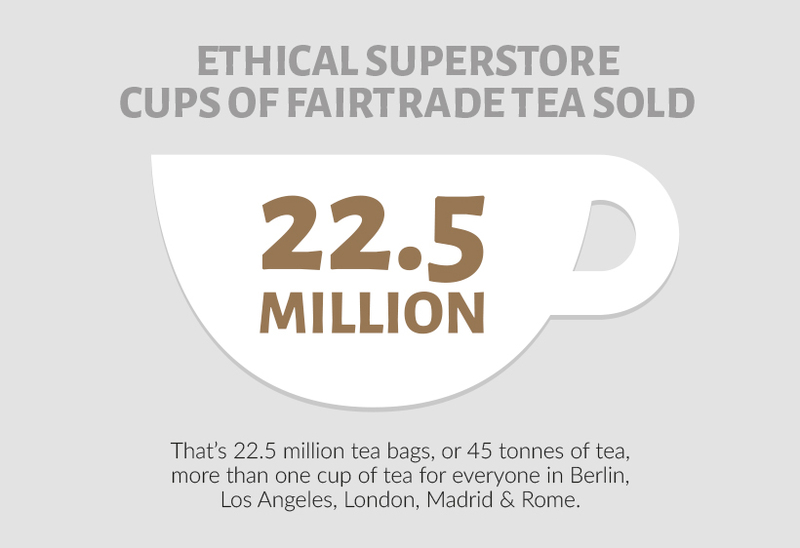 Fairtrade tea has always been a big part of what Ethical Superstore does and we certainly love a cup or two in the office! Since opening in 2006 we have sold 15.95 million cups of tea (and that’s assuming each tea bag is only making one cup). 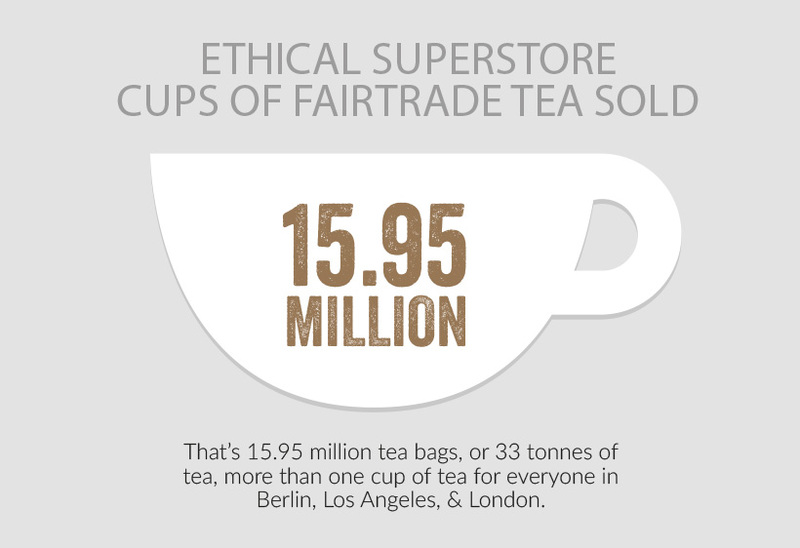 Most of the tea sold on the Fairtrade terms comes from India, Malawi, Tanzania, Sri Lanka and Kenya. The Fairtrade Certification is open to large tea estates as well as small scale farmers and with tea being an all year round crop it can have a strong impact on people’s lives. Fairtrade’s investment in the Fairtrade Premium along with higher labour standards means tea estate workers benefit from improved working conditions and terms of employment, and importantly the opportunity to plan for the future. 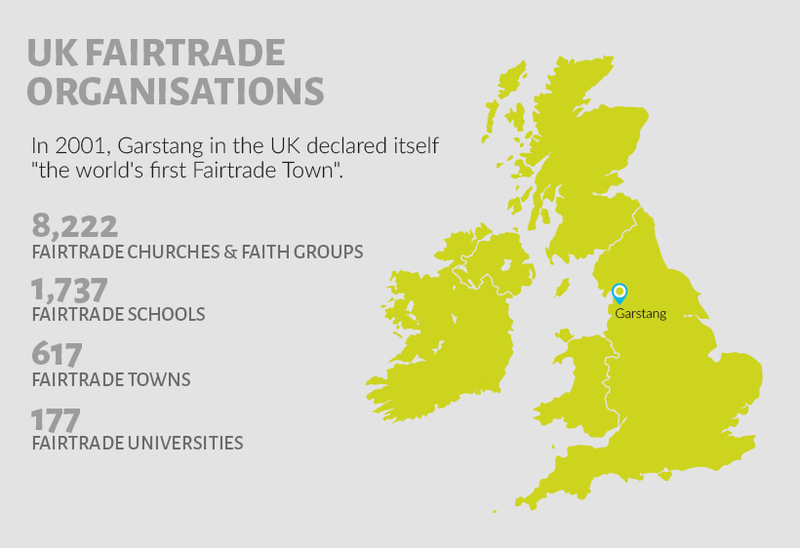 Garstang in Lancashire become the World’s first Fairtrade town. Launched in 2001 under the initiative of Bruce Crowther a local Oxfam supporter and the Garstang Oxfam Group. The aim was to promote Fairtrade certified products in the town, there was a huge increase in sales of Fairtrade Certified goods as a result of awareness increasing to over 70% in the town. The success of the scheme led to the Fairtrade Foundation producing a set of Fair Trade Town Goals to encourage others to follow the town’s success. 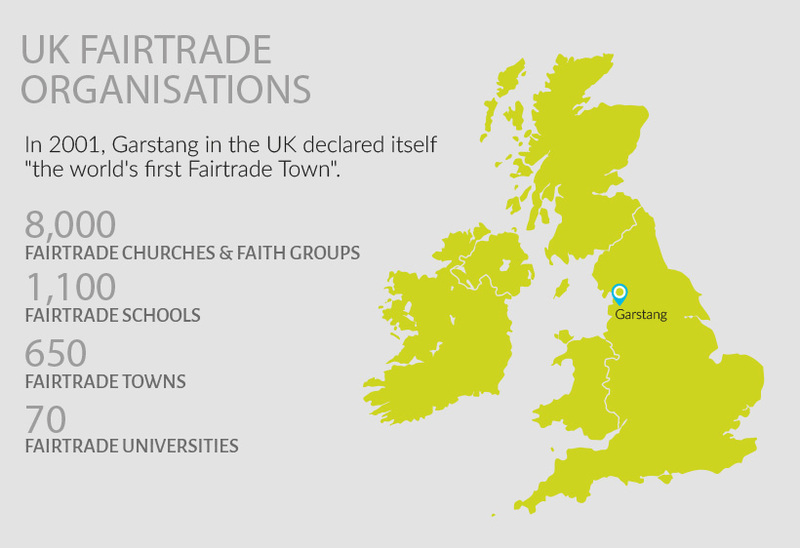 Currently there are 650 Fairtrade towns in the UK! 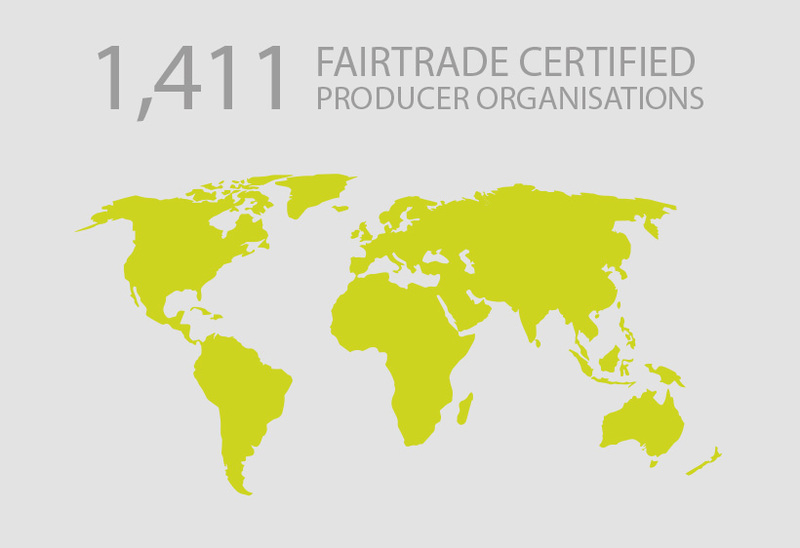 There are now 1,411 Fairtrade Certified Producer Organisations across 73 countries, this has increased from 905 in 2010. 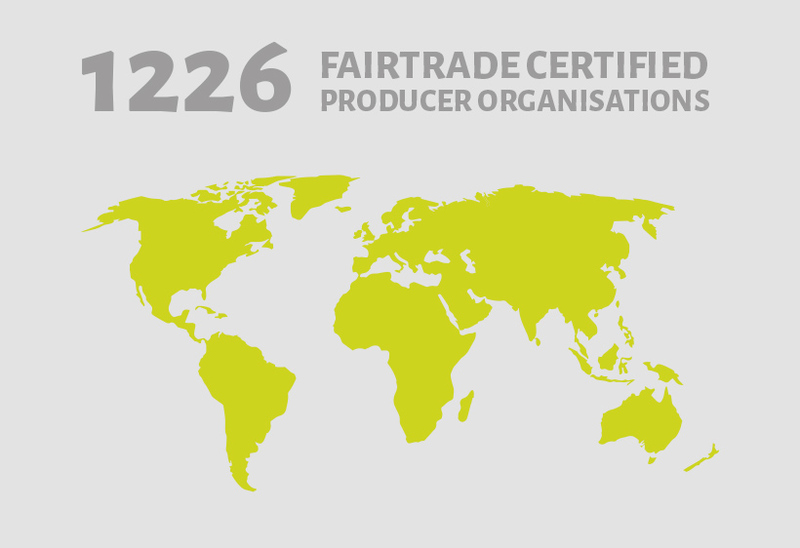 At the heart of the Fairtrade system are the farmers and workers, members of Fairtrade certified producer organizations, within these organisations there are 1.65 million farmers and workers in the Fairtrade system as a whole. 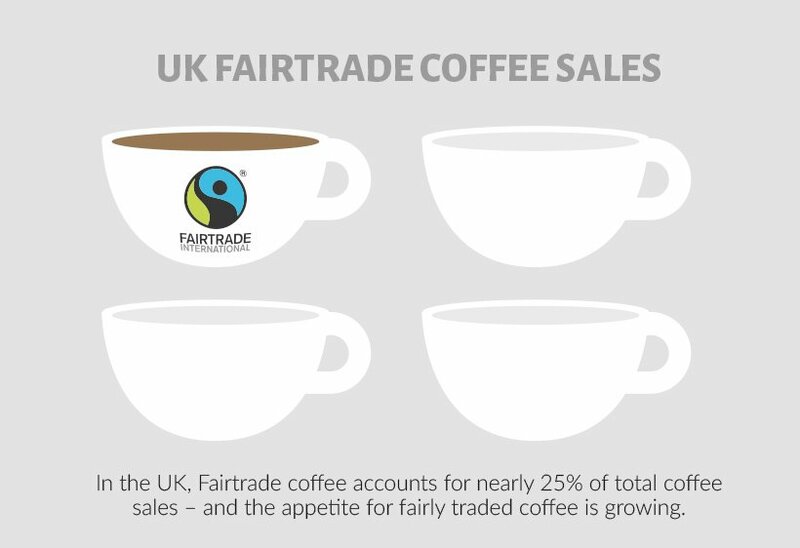 Coffee has by far the largest number of Fairtrade farmers and workers taking up a massive 49% of the total. 812,500 farmers work to produce the delicious Fairtrade coffee we enjoy so much. After this is tea accounting for 22% of the total with 240,800 farmers and 123,400 workers. 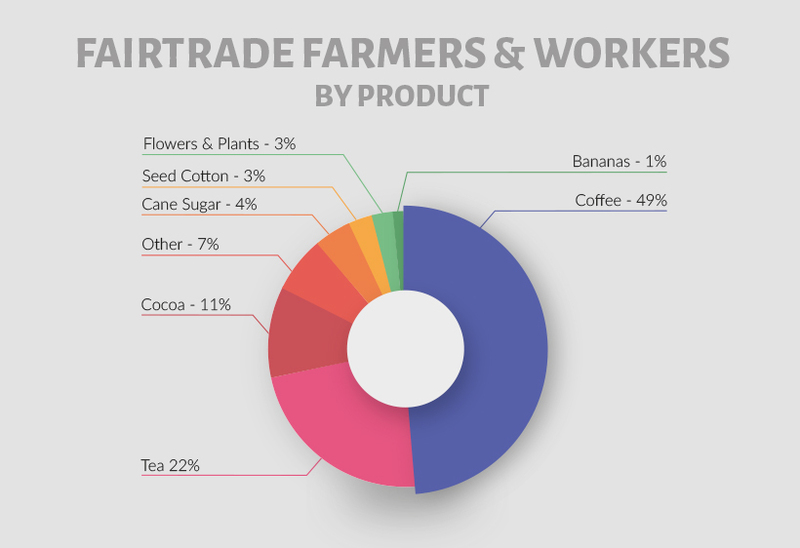 In total there are 1,651,900 farmers and workers involved in Fairtrade! Coffee has been a real success story for Fairtrade and the fact that one in four cups of coffee in the UK is Fairtrade is a great achivement. With Fairtrade becoming more and more recognised across the world and appearing on more products in the supermarket, you won’t be surprised to see a few different coffee brands on display with the Fairtrade logo with brands such as Cafédirect, Equal Exchange, Clipper, Traidcraft, Whole Earth and Percol becoming more popular. 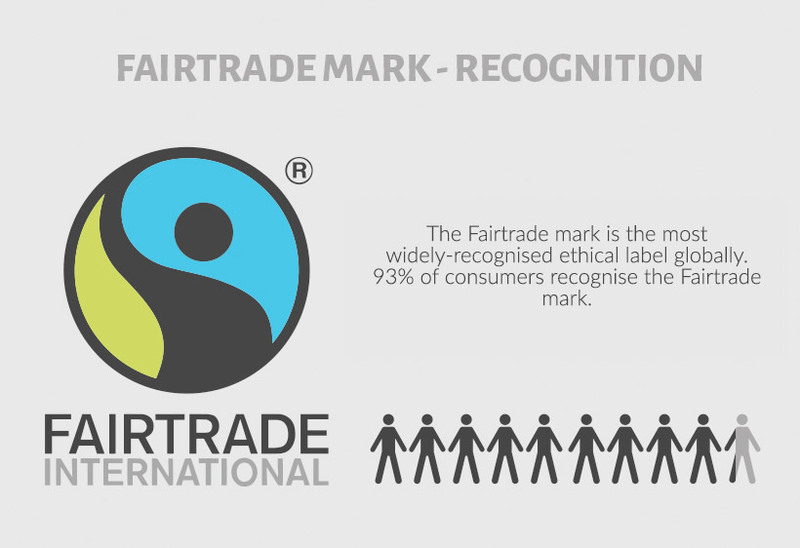 An amazing 93% of UK public recognise the Fairtrade mark, This makes Fairtrade is the most recognised ethical label. We hope when we do a review of this post for Fairtrade Fortnight 2020 this number is even higher and more people who do recognise the logo make sure they choose Fairtrade options. Fair Trade: Is the Fair Trade premium worth it? Previous story What Can Brexit mean for Fairtrade?